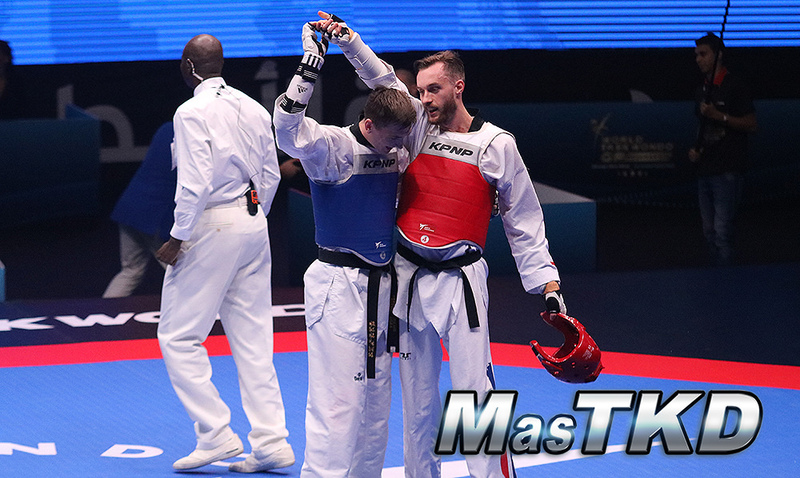 Richard Andre Ordemann, "The Golden Viking"
Norway - 2019/01/30 - The biggest shock of the 2018 Grand-Prix Final came in the gold medal match of the highly competitive Men’s -80kg category. There, odds-on favorite Maksim “Red Machine” Khramtcov of Russia took to the mats against Richard Andre Ordemann of Norway. On paper, the Russian should have walked away with the victory. After exhaustive work from both athletes Round 1 ended 4-4. In the second, both players steeled into their games and went to work with two very different style of play. Khramtcov played his flexible, creative, multi-kick leg game against the more conservative Norwegian – but it was the latter who was more accurate. Round 2 ended 10-9 to Ordemann. Khramtcov shook it off, and returned fire with spinning kicks and his trademark ax kick, but the Norwegian remained calm in the midst of the onslaught and continued racking up points against the charging Russian. The bout ended with a 27-14 surprise win by Ordemann against Khramtcov – one of the most dominant players in the game. Like all the players at the GP Final, Ordemann’s eyes are fixed on 2020: an Olympic year. That means 2019 is going to be a critical – and intense – fighting season. Asked to name his favorite fighters, he said: “I like aggressive players – so Maksim, Milad and Dae-hoon LEE.” Regarding Lee – the Korean kicking machine who racked up an astonishing 65 points in his final match in Fujairah – Ordemann said: “It was just non-stop, and he looks very relaxed. 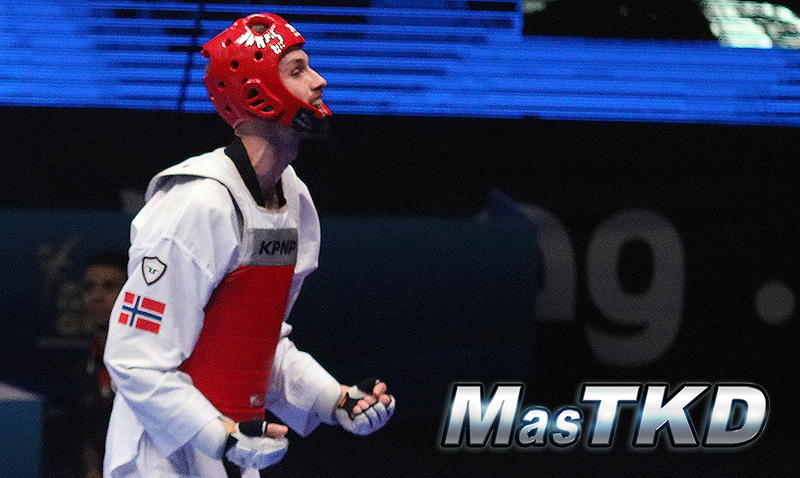 Taekwondo, then, is clearly front and center for the brand-new Grand-Prix champion. 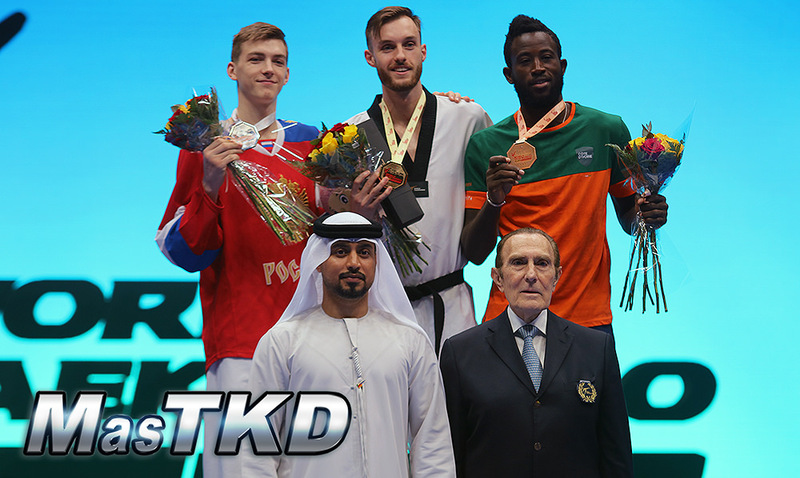 And now that he has branded his name firmly on the taekwondo map with his victory in Fujairah, Ordemann is not going away. “This is the start of something good: I think you will be seeing a lot more of me on the podiums in the future,” he said. “I am here to stay!